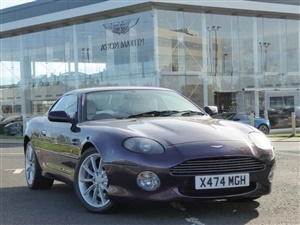 NATIONWIDE DELIVERY AVAILABLE Finished in Thurso Red with Ivory Leather interior, Electric and Heated Seats, 6 CD Autochanger and Remote Central Locking this is a beautiful piece of Aston Martin Heritage that has been obviously well kept. 6 CD Autochanger, Electric Seats, Heated Seats, Front and Rear Fog Lights, Air Con, Hazard Warning Lights, Ivory Leather, Heated Front Screen, 18inch Wheels, Remote Central Locking, Electric Aerial., WE WELCOME PART EXCHANGES. PLEASE CALL OR VISIT OUR WEB SITE *** FOR FURTHER INFORMATION , Service history, Maroon, All our vehicles come HPI checked & clear. We offer competitive finance quotes, get in touch today!, £27,995.